Hi everyone! 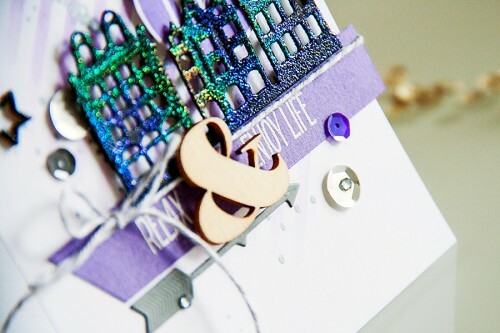 Today I’m sharing another Clean & Simple Die Cutting episode showing with a modern night life Relax & Enjoy Life Card. This post is from the bi-weekly “Clean & Simple Die Cutting” series. You can view all posts from this series by clicking here. Even though Birthday and Holiday cards are my most favourite, I sometimes like to create something completely different. Like the card I’m showing today. I would love to receive a card like that with an invitation to go out and have fun and simply relax. Wouldn’t you? I combined lots of various supplies for this project, all linked at the bottom of this post. 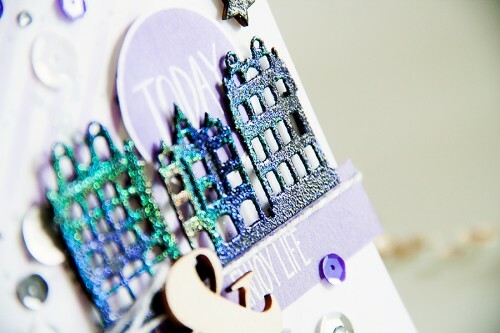 I used the Spellbinders Row Houses die to create a night-life type of city scape. 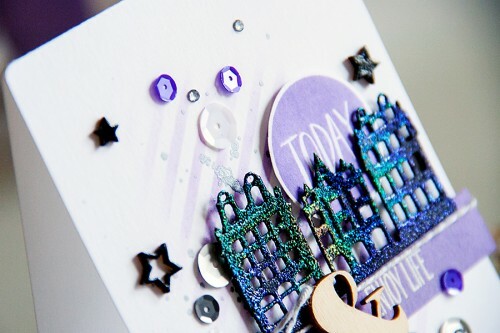 I coved the die cut with my oh so favourite kaleidoscope embossing powder for that shiny glittery look. I love how it turned out! If you liked this video, please click the “thumbs up” button. Thank you! Links lead to two stores: ЗС – an online store here in Ukraine for my Ukrainian readers and SSS – Simon Says Stamp. Happy shopping! 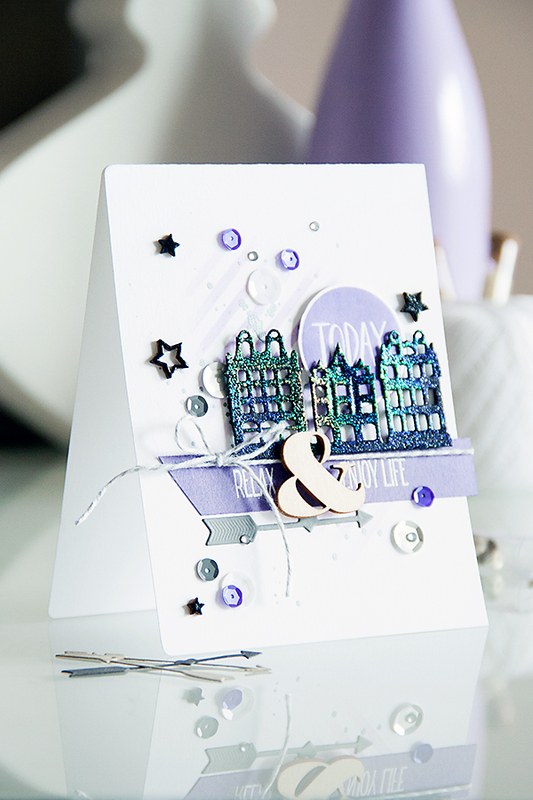 Fantastic card and tutorial! I have the row houses die and I’ve been looking for ideas. This is amazing! Love everything about it!